Mayweather has finally broken his silence regarding the most anticipated fight with Manny Pacquiao. He issued a challenge to Pacquiao publicly daring the latter to a showdown on May 2 of next year. He claimed that he was trying to make it happen a long time ago, contrary to the reports that he was trying to avoid, thus imposing impossible conditions to the fight. He stated problems such as random blood and urine testing were ignored by Pacquiao. Furthermore, it was Bob Arum’s, Top Rank Promotions chief, fault why the said match had been hindered. He also said that the split in revenue is another issue they had to negotiate further. Mayweather had rumored to offer $40 million to Pacquiao which he reportedly refused. On the next offer, the undefeated fighter says he could not offer the same amount since Pacquiao has lost to Marquez and Bradley. He also claimed that the latter’s Pay-Per-View numbers are dramatically decreased. He also demanded that the match would happen on Showtime PPV. 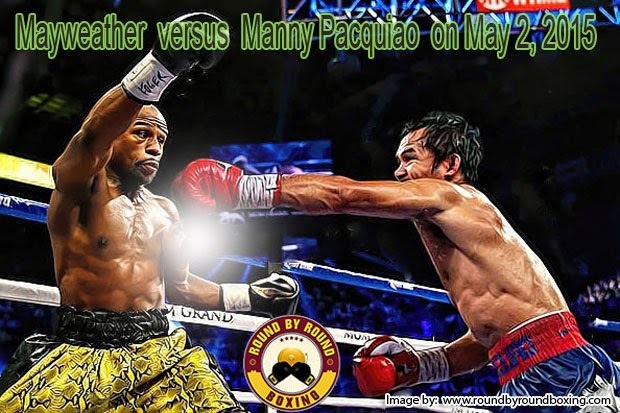 After Manny Pacquiao won his last fight with Chris Algeri, a lot of social media memes had been going around for Mayweather to fight Pacquiao. According to Pacquiao’s side, the boxer would be more than happy to fight Mayweather, and make the most anticipated match happen. However, he also commented that he hopes it is not just another publicity stunt by the other fighter. As of present time, Pacquiao has 55 wins (38 of which are Knockouts), five losses and 2 draws. Floyd Mayweather Jr, on the other hand, has 47 wins (26 of which are Knockouts), zero losses and zero draws. Although Mayweather’s record is pretty impressive when compared to Pacman, it had been rumored that his camp usually hand pick opponents he could easily knock-out, thus his apparent avoidance of Pacquiao.